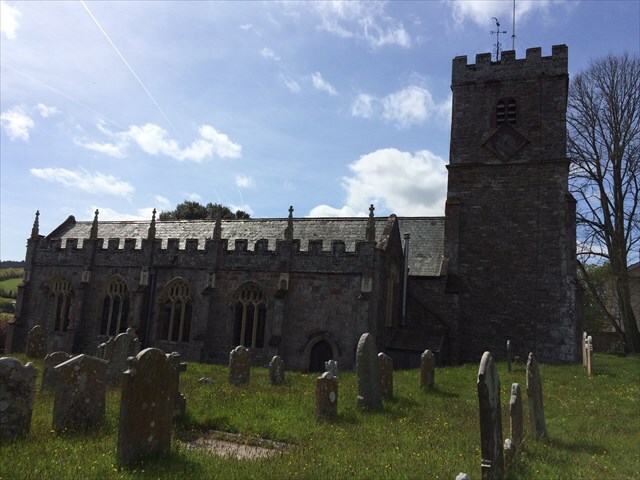 An offset cache based on the Church of St Cyr and St Julitta in the village of Newton St Cyres. Much of the church you see today dates from the 14th century and the tower is slightly older than that. The nave was rebuilt in the 15th century and the north aisle was added in the 16th. Inside the church there is a monument to John Northcott and a rare Royal Arms of James II. To find the cache go to the headline coordinates. You will see a sundial dedicated to Edward Osmond and John Francis. There is a date on the dial, call this ABCD. You will find the cache at N 50 46. (A+C) D B W 003 35. (D-A-C) (A+C) (A+C). You are looking for a clip lock container inside a camo bag.